Incarcerated UPND President Hakainde Hichilema has learnt with deep sorrow and sadness the passing on of Mrs Salome Kapwepwe, the dear wife to a great freedom fighter and independence icon, Simon Mwansa Kapwepwe. 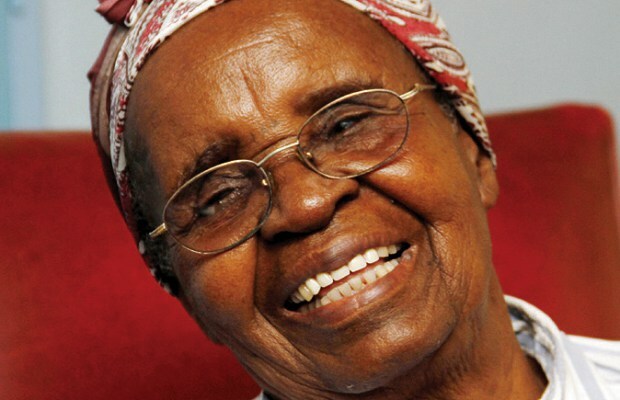 Mr. Hichilema joins the family and the rest of the country in mourning the late Mrs. Salome Kapwepwe who is reportedly to have died in her sleep. The UPND leader feels the pain of the family and the rest of the country on the untimely demise of such a strong woman who he says was one of the pillars in Zambia’s freedom struggle. Mr. Hichilema recollected the pain in which these strong women went through when their dear husbands were fighting for the liberation of this beautiful country which due to their efforts, was subsequently united under the banner of the one Zambia one nation motto. The UPND leader said had it not been for the situation he was in currently, he would have personally been part of the masses in joining the family to celebrate the great history of a such powerful woman who helped shape Zambia. On his own behalf, the great UPND family and the rest of the masses, he sends sincere condolences and joins in praying to God to comfort the family in such trying moments.